COLONIE – Lois M. Hardie, 86, of Colonie, passed away peacefully at her residence on Saturday, November 17, 2018. She was born in Poultney, Vermont and was the daughter of the late Clyde and Mary Hughes. Lois was predeceased by her husband, Edward Hardie. 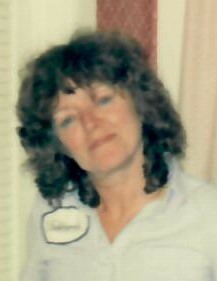 Lois was a real estate agent for Realty USA in Albany for many years. She loved gardening and making her yard beautiful. Lois enjoyed traveling, antiquing, long drives in the country and meeting new people. She enjoyed many wonderful visits with Marc to Maine and the Thousand Islands, Ontario where she would relax and enjoy the view, occasionally catching the biggest fish. Her greatest pleasure was spending time with her cherished family and friends. Lois is the dear mother of Cal Hardie, Eric Hardie, Rachelle Hardie and the late Susan M. Brewer. Grandmother of Andrew, Patrick, Casey, Morgan and Dylan. She is the longtime companion of Marc A. Smalkin. She is the sister of Corinne Hillard.